Our fast colour digital printing service based in Croydon uses the latest large format inkjet printers from HP and Seiko. The vibrant inks used offer long-term indoor and outdoor display. 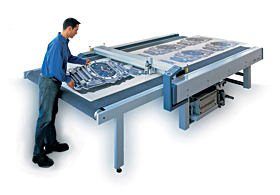 The large format output from these printers is ideal for retail and store displays such as posters, window graphics, exhibition panels, museum displays, trade show exhibits, graphic panels, research posters, maps, technical drawings, fine art prints, canvas prints, event banners and much more. Shorter turnaround times Speed, precision and a state of the art print finishing system that allows us to print and cut any shape, any size, to almost any material. Our direct to panel print services include materials such as foamex, correx, dibond, aluminium, rigid pvc and many more. To discuss our direct to panel print options please call us on 0844 800 1020. 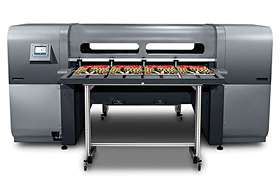 One of our printers involved with direct to panel printing is the HP Scitex FB500 UV flatbed printer. A state of the art direct to panel UV printer making it a true one stop display and signage printer. A printer capable of stunning high resolution printing at very competitive prices. • Dibond - A metal face sandwich material. Lightweight and incredibly strong. • Plus many other specialist products such as Carpet Tiles, Ceiling Tiles, Louvre Doors etc. etc. 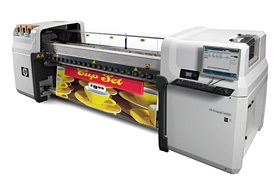 State of the art HP L65500 Latex wide format printer. Designed with the environment in mind, HP Latex Printing Technologies offer a compelling new alternative for creating a wide variety of outdoor and indoor applications. Innovative water-based HP Latex six-ink printing system produces applications - up to 2.6m wide - that impress with rich, saturated colour. These innovative new inks do not produce ozone emissions during printing and contain no hazardous air pollutants (HAPs) or sanitizers. What's more, these inks are non-flammable and non-combustible. Outdoor prints achieve display permanence up to 3 years unlaminated and up to 5 years laminated. Achieve both durability and vivid image quality. The prints are scratch, smudge, and water resistant on a wide range of media. 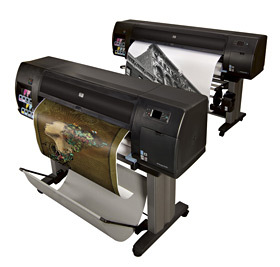 High-resolution - up to 1200 dpi prints that offer broad outdoor and indoor media versatility. Print banners, event and transit signage, vehicle wraps, and other outdoor applications as well as high-quality indoor signage, including point-of-purchase displays. HPZ6100 - 2 x 42" 1 x 60"
Our fast colour poster printing service in Croydon uses the latest large format ink jet poster printers from HP. The vibrant inks used offer long term indoor and short term outdoor display. 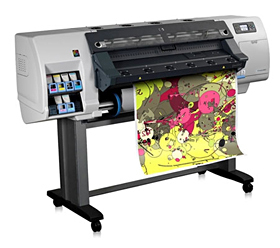 The large format output from these printers is ideal for retail and store displays such as posters, window graphics, exhibition panels, museum displays, trade show exhibits, graphic panels, research posters, maps, technical drawings, fine art prints, canvas prints and much more. Our HPZ6100 printers give a short term outdoor use but for long term applications we use solvent based eco inks. These durable prints are ideal for all out door applications such as hoardings, banners, signs, hoardings, posters, billboards, pavement signs, boat graphics, window signs, floor graphics, event signage, vinyl stickers and decals. 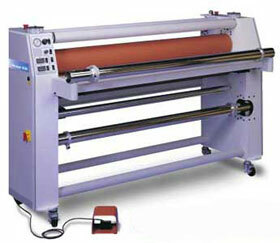 State of the art HP L25500 Latex wide format printer. Designed with the environment in mind, HP Latex Printing Technologies offer a compelling new alternative for creating a wide variety of outdoor and indoor applications. Innovative water-based HP Latex six-ink printing system produces applications - up to 1500mm wide - that impress with rich, saturated colour. he HP Designjet L25500 Printer produces an extremely broad range of both outdoor and indoor applications from a single device, which surpasses the number of different applications that traditional eco-solvent printers or water-based printers can produce. A printer that delivers unrivalled versatility with a wide range of outdoor and indoor applications. We take price in the high quality of our print finishing, and use top of the line equipment to ensure our strict standards are met. An incredible addition to our large format armoury. This swiss made multi purpose digital die cutter uses high tech camera technology to offer perfect cutting of 100's of types of media. Not only can it cut straight lines but it can cut complex shapes so there is no need for expensive dies. Cut to shape stickers, floor graphics, decal, window graphics, point of sale, life size products and people. It cuts paper, foam core, fabric, banner PVC. • 3m x 1.8m cutting area. Some large format printing needs finishing. This can either be laminating with a protective clear material and mounting onto a substrate such as card, correx foamex or MDF. Our seal 60" large format finishing laminator has hot rollers so it can be used for encapsulation of large posters and prints.